I am a firm believer in the idea of adding fun to a business trip. It’s not always easy to find free time when you’re traveling all over the place representing your company or brand, but business travelers should carve out time to enjoy themselves whenever possible. 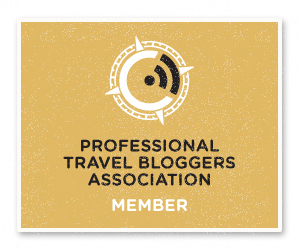 Whether you’re traveling to a new destination directly from a business trip, or spending a few extra days or hours in the city where you’re working, business travel can be a fun reward for your hard work. 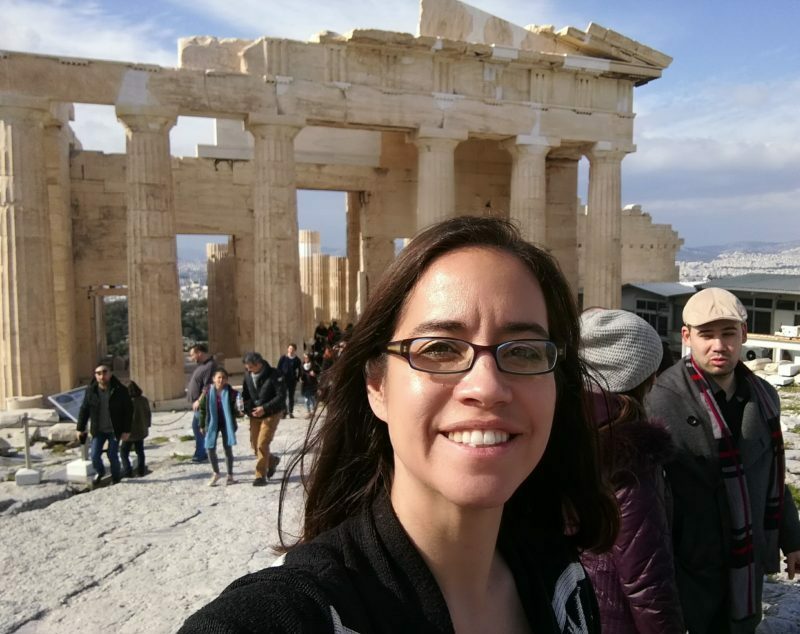 I have been to Athens, Greece, before with the family, but being alone changes your experience. Fortunately, Herodion Hotel and its sister-property, Philippos Hotel, hosted me for a one-night stay and a posh dinner at their establishments. If peaceful environment and low-key service appeals to you while you travel, the Philippos Hotel is a great choice. The 50-room hotel is located in Makrigianni, which merges into Plaka, on a peaceful side street close to the Acropolis metro station, just a 10-minute walk from the Acropolis itself. It includes a delicious buffet breakfast served at the all-day cafe. 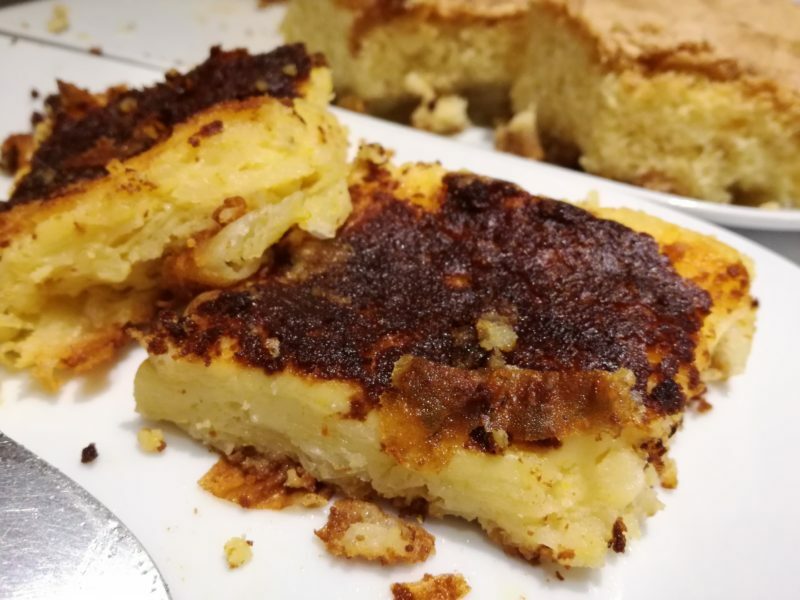 I HIGHLY recommend you try the Portokalopita, a Greek orange filo cake. I watched everyone grab a slice at breakfast, and the staff quickly replenishing. 😉 After sitting in a conference room all day, I basked in the my light, airy room. Drinking a glass of water and snacking on fresh fruit, I sat on my balcony that caught a glimpse of the Acropolis. The quiet street allowed me to collect my thoughts and enjoy the weather in Athens, Greece. 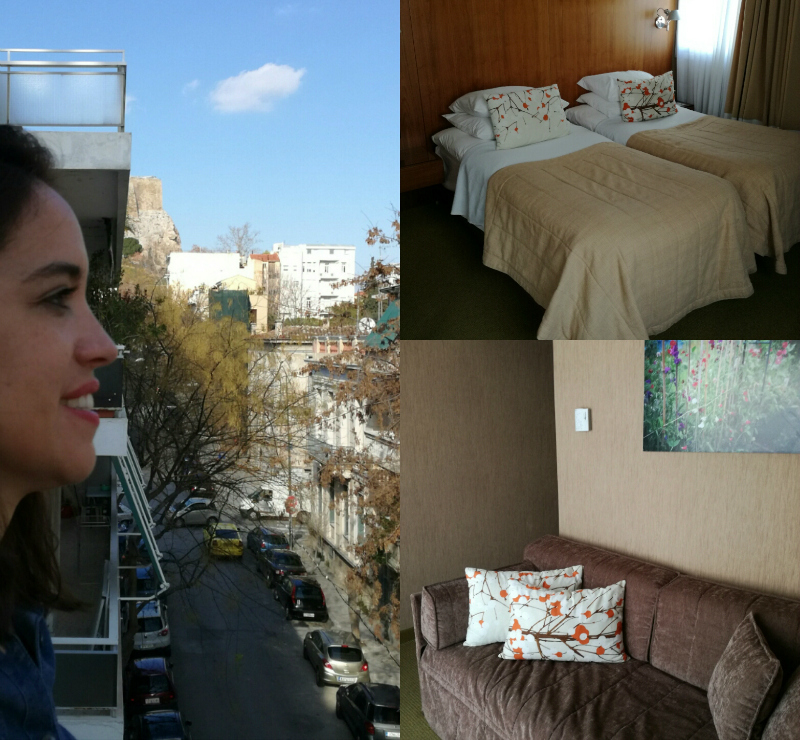 Some but not all rooms have Acropolis views – there’s no extra charge for this, so specify if you want one, it’s totally worth it. Nearly all have balconies too, at no extra cost. The Philippos Hotel is an excellent value for money considering the location and the friendly atmosphere. 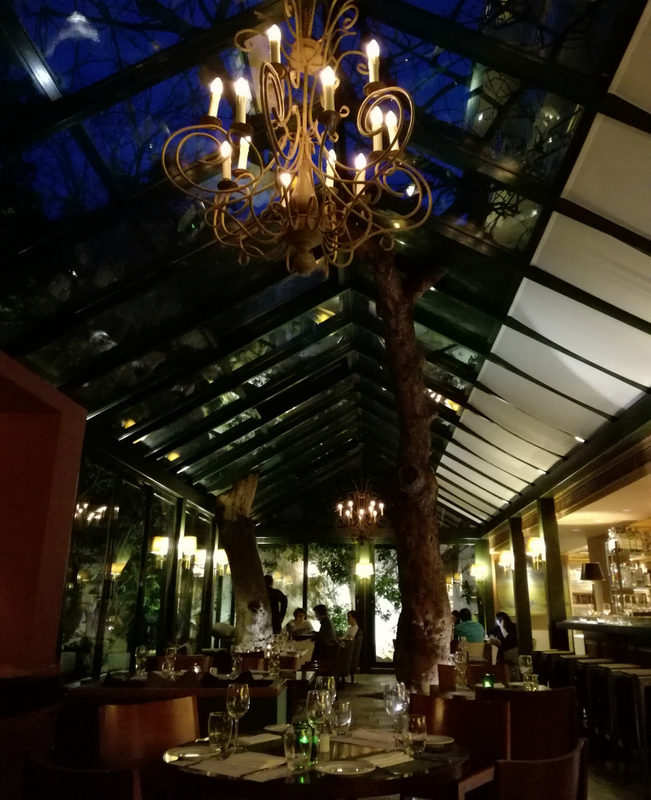 The Atrium Greek Bistrot restaurant in Herodion Hotel, Philippos’ sister property, is tucked at the back of the front lobby, where you sit under a skylight and can look up to the stars. Atrium specializes in homemade Greek recipes with a modern twist. The reviews online use words like “intimate,” “relaxing” and “magical atmosphere.” One of the things that I love about traveling is trying different dishes from around the world. Also, I like to treat myself while I dine, so I usually get two to three dishes to sample because why not?! 😉 Dining alone is a funny thing, some people can do it and others will not. I do not mind it, especially when you have the pleasure of an excellent server who really was a culinary host. Also, a woman, who is traveling the world, dined alone at the table next to me, and she really should have joined me since we talked together throughout our meal. 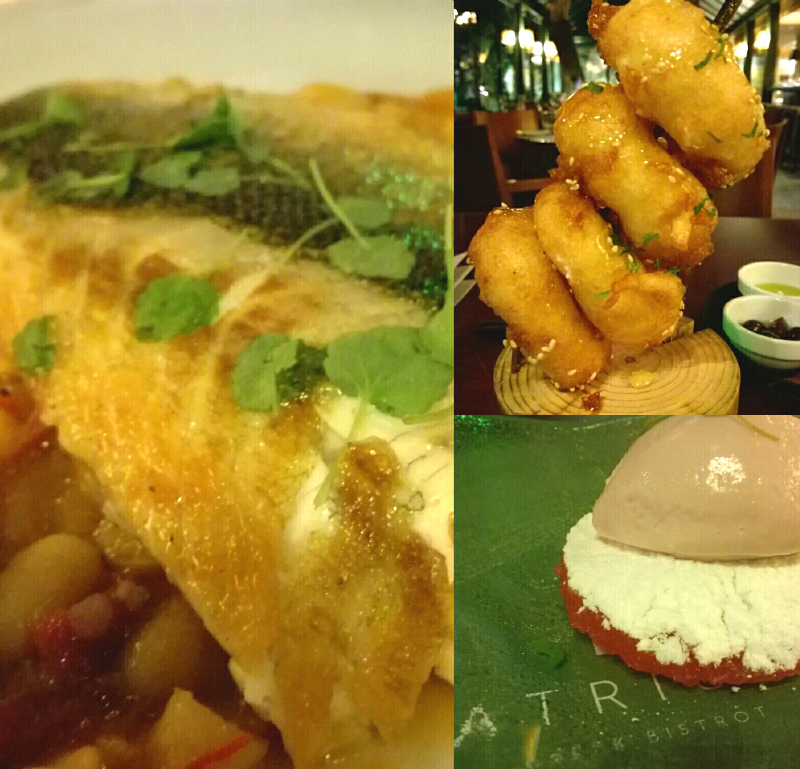 After receiving recommendations from two servers at the Atrium, I started out with Loukoumades, fried cheese from Elassona drizzled in Greek honey, followed by Sea Bass on top of beans and finished with rose ice cream on freshly-made Syros Delight. 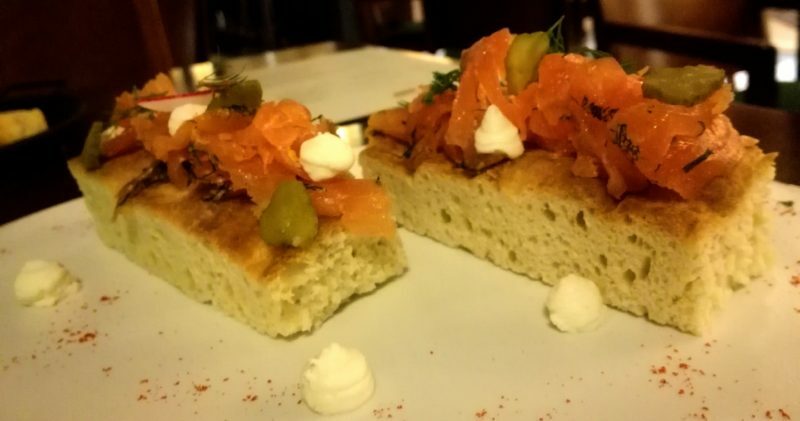 The server insisted that I also try the Salmon with horseradish cream, served on fluffy “ladopsomo” bread from Kimolos Island. I am sooo glad that he did. It was amazing! Athens is well served with scheduled flights from Aegean, British Airways, easyJet, AirSerbia and Olympic. There are lots of different options. Metro Line 3 serves the airport while Suburban Rail Services operate from Athens Central Railway Station (Larissis) and Piraeus. Taxis, limo transfers and Uber are also available from outside the airport terminal. A 3km pedestrian zone has been created in the neighborhood of Plaka based around the sacred rock of the Acropolis, site of iconic architecture and art, including the photogenic Parthenon. If you travel off-season, the Acropolis is half-price, regularly €20. Give yourself an hour to climb up and take many pictures of these amazing site. Some 4,000 historical items are on show in the new Acropolis Museum, and for only €5, you do not want to miss it. 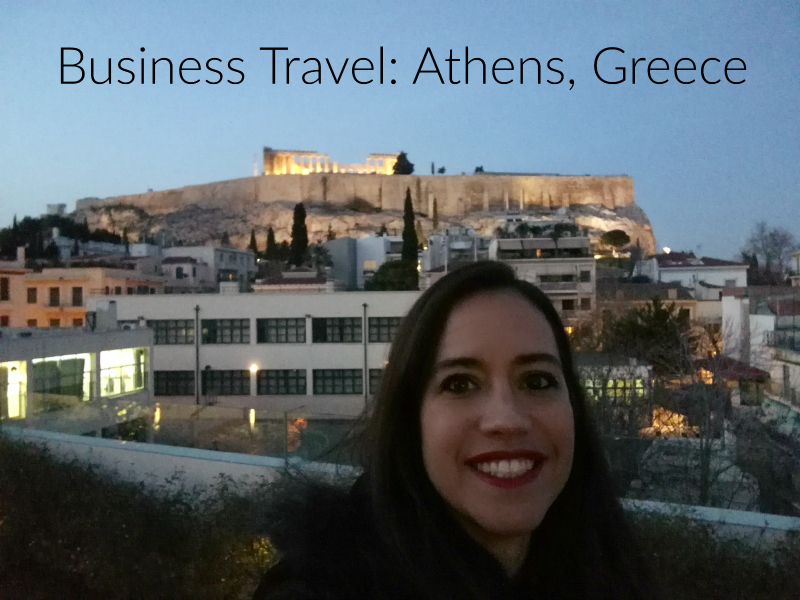 Tip: Visit the Acropolis Museum before your climb to the Acropolis. You will have a greater understanding of what you are looking at, especially if you do not have a tour guide. 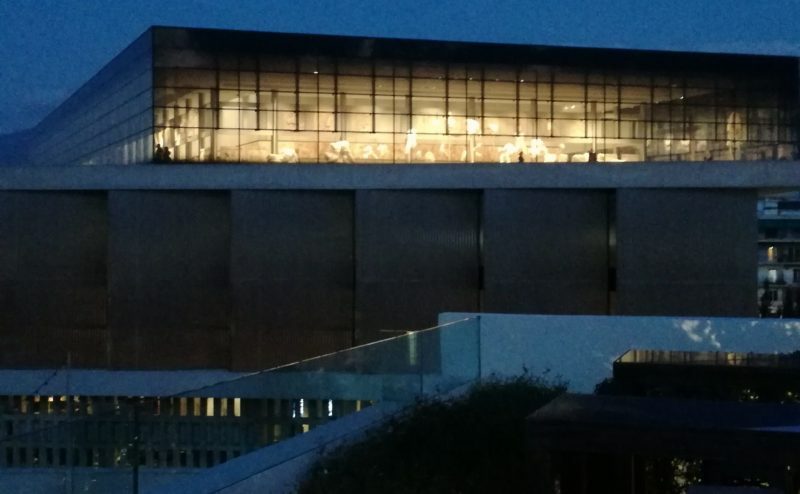 Also, start on the top floor of the Acropolis Museum, where you can enjoy the view and take pictures of the Parthenon replica and make your way down. It will take you no longer than 2 hours to enjoy all of the museum. Take a stroll in Monastiraki with its stalls full of colorful spices and window shop on pedestrian avenue of Ermou in the center of Athens. Traveling on business and need a place to work? It’s the sharing economy to the rescue! Coworking could be just the answer you’ve been looking for, and I HIGHLY recommend checking out Bios Romantso , a cultural center, as well as a creative hub. Set in a 1930s building, it is spread across four floors. The ground level has a cafe/bar and a space for intimate performances. While the basement has a concert area, rehearsal studios and a recording studio. I attended the European Creative Hubs Network Forum here on the first floor. The remaining levels are used for workspaces. Thank you again, Philippos Hotel and Atrium Greek Bistrot, for making my business trip more homey and enjoyable while I was away from the family.